Love Sock Company has so much to choose from - buy as individual styles or in gift boxed sets. 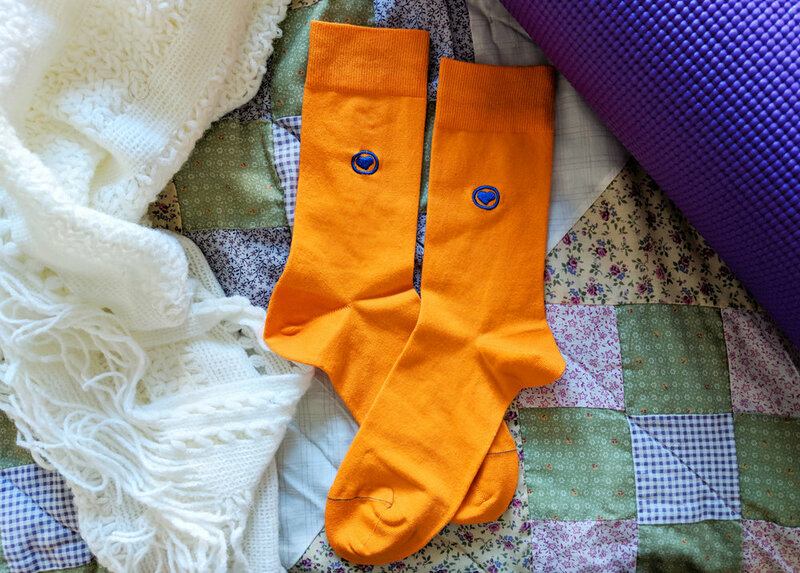 Love Sock Company - Premium Organic Cotton Socks We Absolutely Love! Happy Friday, sock lovers! What a perfect day to discover a new sock brand, right? Today in the office, we're going head over heels about Love Sock Company; a brand based out of Maryland that features soft and luxurious organic cotton in their socks - and certainly not sacrificing any style along the way. We LOVE the variety of patterns that Love Sock Company has to offer, which you can see for yourself online here. We had a hard time choosing our favorites. Love Sock Company is one of our featured brands in this year's Gift Guide because the brand showcases quality and design; two things we are very passionate about over here. Love Sock Company uses GOTS certified organic cotton in all of their socks, and they certainly do feel good! (Trust us, we tried them on). You can read more about organic cotton here. We love hearing about how brands select their materials and standards to work with. Cool, right? Examples of women's styles (left) and men's (right.) We can't get enough of that heart logo; so cute! Also love the intricate designs for men's everyday wear. In addition to a vast array of designs for both men and women, Love Sock Company offers themed box sets, which makes for an exciting and thoughtful gift any time of the year. Since it's the peak of holiday shopping season, we've made our list; Love Sock Company is certainly on our "good" side! Let's talk about design: With an eye for detail, we want to point out the love for the little things we discovered on these styles. For one, the embroidered heart logo is quite cute on the solid colors; it adds that extra little feature that lets you know someone cared about creating this sock. Also, although not pictured, if you were to flip over the welt/cuff on these socks, you'll find some surprise text - we think that's an excellent added motivational feature. Wear your Love Sock Company just about anywhere! We're ready to start our exercise this afternoon in a pair of these very soft organic cotton women's solid crews. That heart just makes us smile! We hope you enjoyed this glimpse into one of our sock picks for the holiday season! Make sure you browse their collection online or comment with your favorite styles below. We'd love to hear from you! TGIF, friends ~ Over and Out.